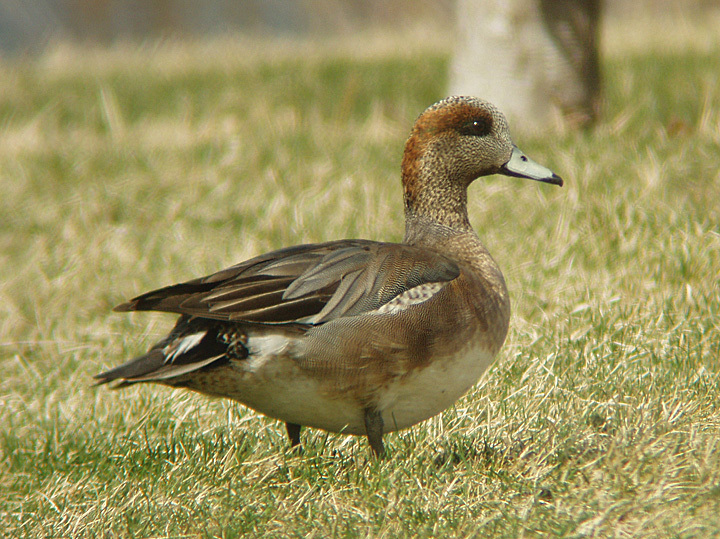 Hybrid Eurasian X American Wigeon at Columbia Park, Richland, WA. March 24, 2006. Digiscoped.